Sorting through our photos, we realise we take more photos going up then down. But we managed to locate one of a descent from our trip to New York a few years back for the weekly photo challenge. 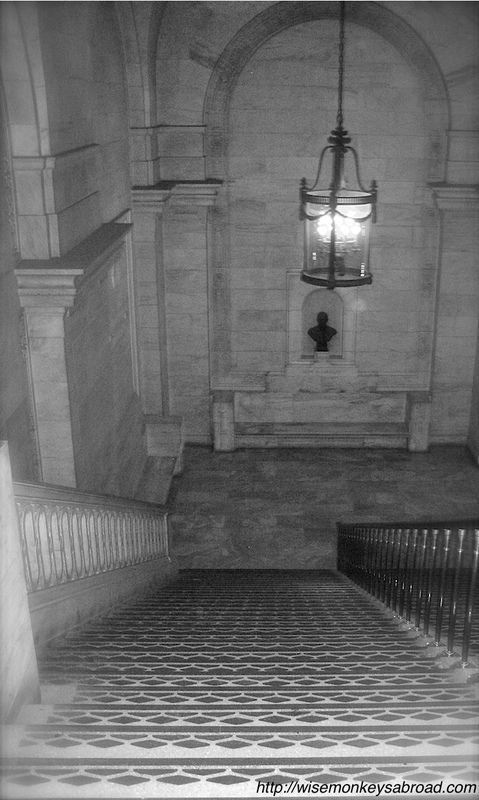 This entry was posted in USA, Weekly Photo Challenges and tagged black and white, descent, library, Monochrome photography, New York City, NYC Public Library, Photography, stairs, Travel, USA.